To be honest, when I found out I was pregnant last summer, I really had no idea how I was going to “do it.” In fact, it seemed impossible, and I admit I was angry with God for asking me to do something that looked so impossible hard. Our house is too small, God! 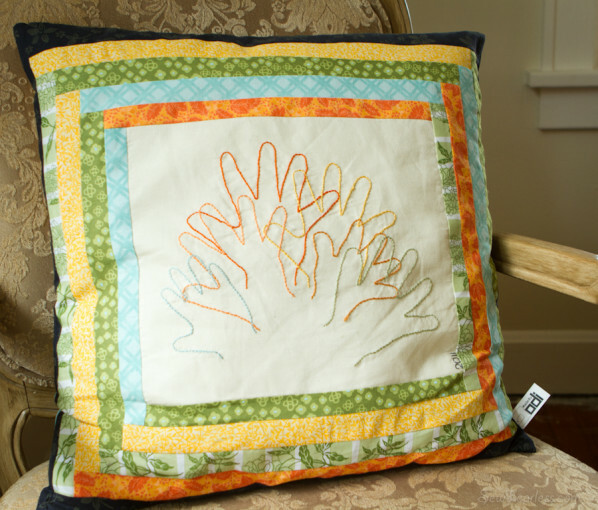 – Here’s a big one, with sewing space for you too. But how will we afford it? – Here is a promotion and a raise for Andy. But, God, the timing is so bad. It is ridiculous, in fact. How will I be able to care for a newborn while Andy does full-time graduate studies and full-time work?! – Here. Your favorite babysitter ever is moving back into town and is looking for affordable housing. Have her live with you. It is good for her, and good for you. Ok, fine. You obviously know way more than me about everything. And, friends, let me tell you, we are missing out with the loss of multi-generational family living in the US today. You can’t even fathom how much help it is to have another adult in the house to help clean, and watch the kids, and play with them. I would like to think it was a good thing for her, as a single young woman fresh out of college, to experience what living in a family with small children is like, too. Sadly, the time has come for her to move on to the next phase in her life, but I couldn’t let her leave without a memento of her time with us. 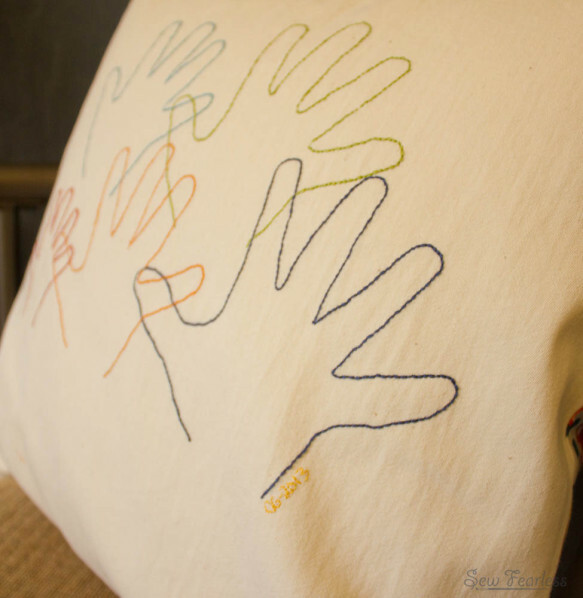 When in doubt, make an embroidered hand print pillow! 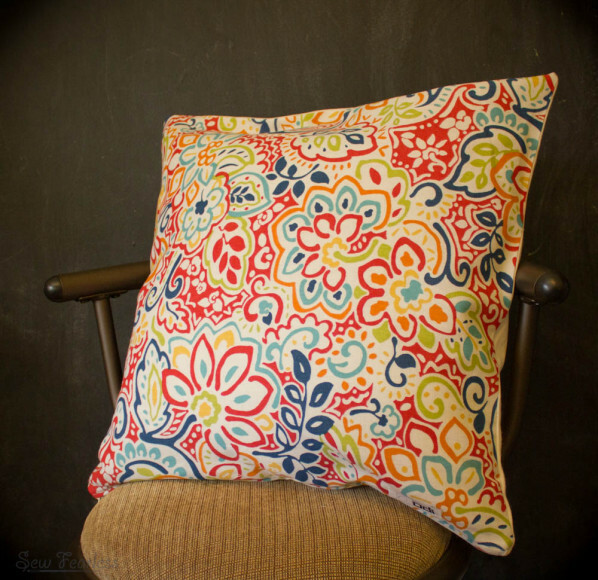 This time I made it as a zippered pillow cover. So. much. easier. See this link for how. A great idea for her, it sounds like she will be missed. 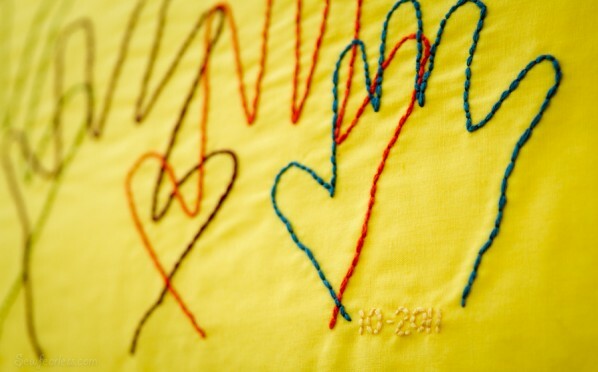 I love following your journey, raising 5 children and keeping up with your passions of sewing. I’m the oldest of five (5 in 7 years) and reading your blog makes me think of my mom and how she managed to keep it all together. I love this post! God may ask us to do difficult things sometimes, but He always makes it possible to succeed. 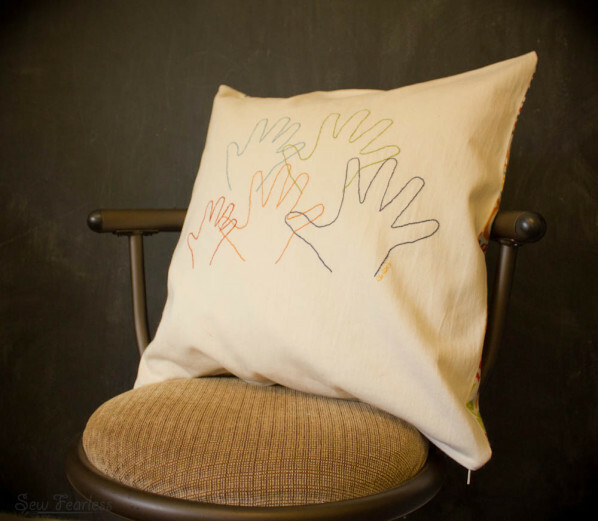 =) This is the prettiest hand print pillow you’ve made yet. Thank you. It’s my favorite too. Thanks so much for sharing how God has blessed your life and the life of your family! I totally agree with most American families missing out on multi-generaltional family living at the same address or at least being neighbors! There is another blogger who decided to get the large house and her family and her parents have agreed to try living together: Close to Home is the blogsite, Molly Sabourin is the blogger. AND I have known Maude since she was born (well before she was born!) and she has always, always been a blessing! May God continue to bless and keep your family close to himself! And thanks for blogging! I am really looking forward to meeting you too! Your pillow is such a wonderful idea. Your story is beautiful!